Since 2004, our Build a School Programme has changed the lives of hundreds of thousands of children across rural Africa. Now, our powerful approach has evolved to help build entire groups of schools, giving more children the support and opportunities they deserve. If you value education and want to do something truly incredible, help us transform a school community. Build Africa works to identify vulnerable government and community schools that are already in existence, allowing our approach to be sustainable and community-led. We help parents to earn a secure living, communities to value education and tackle discrimination against girls and marginalised children so that no child is left behind. 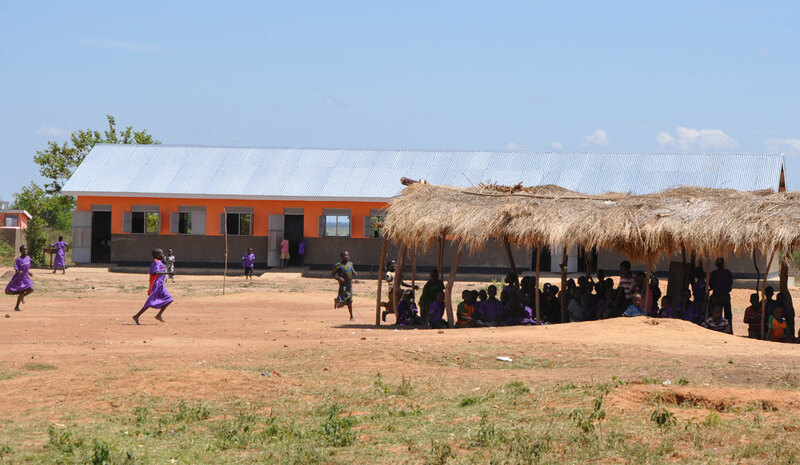 We construct and renovate classrooms, libraries and important facilities, whilst improving access to hygienic toilets and clean drinking water; creating a safe and engaging environment for children. We provide important educational materials and textbooks, train teachers and give them the professional support they need to inspire their students. We take time to understand the unique needs of each school community we support and create lasting and robust relationships. We work side-by-side until the job is done, helping schools come up with long-term plans that will educate children in their community for generations. With your support, we can reach more schools than ever. When it comes to education, we believe that children deserve more than second best. So, we work hard to bring even the most remote schools up to both national and international standards. That's why we have developed an effective way of working with schools in community clusters rather than focusing on individual locations. We want as much of your donation to reach as many children as possible, however traditional methods of supporting a single school at a time can often be costly and inefficient. We also know that developing an isolated school can even lead to problems such as overcrowding when parents move their children from unsupported schools in the same area – meaning more pressure on teachers and resources. Instead, by working with small groups of schools simultaneously, you can help us reach entire communities and transform education for a more sustainable and brighter future for every child. If you believe in the power of education to help end poverty and want to make a difference today, please donate to support our vital work. Or, fill in the contact form below to enquire about a philanthropic or corporate partnership that can change a school community. We'll only use the information you provide to deal with your request. Unfortunately, we do not offer overseas volunteering opportunities. We believe in an ethical approach and employ professional local staff with expertise in our projects as well as the social and cultural environments of their work. We also use local contractors for construction work to support vulnerable economies and encourage community involvement.